1 Benjamin B. Dunlap Famous Sayings, Quotes and Quotation. 'Live each day as if it is your last,' said Mahatma Gandhi. 'Learn as if you'll live forever.' This is what I'm passionate about. It is precisely this. 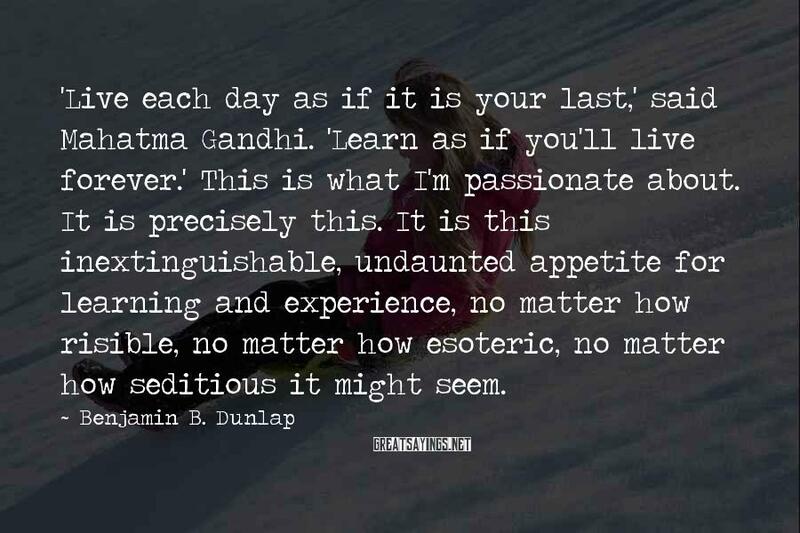 It is this inextinguishable, undaunted appetite for learning and experience, no matter how risible, no matter how esoteric, no matter how seditious it might seem.